Collects New Mutants (1983) #98; Deadpool: The Circle Chase #1-4; Deadpool (1997) #6-8, 44, 65-69; Daredevil/Deadpool Annual '97; Black Panther (1998) #23; Cable & Deadpool #20-23; Deadpool (2008) #16-18; Deadpool Kills the Marvel Universe #1-4; Deadpool (2012) #15-19; Deadpool Secret Comic Variants. 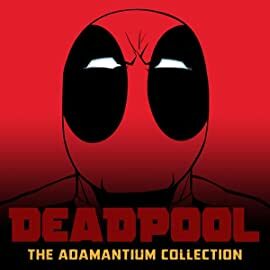 Presenting the Merc-iest, Mouth-iest Deadpool collection of all time! 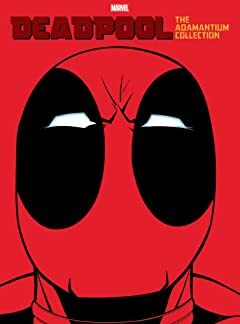 From his dynamic debut in 1991 to a story that unfolded across 2016's variant covers, celebrate 25 years of Wade Wilson wackiness by the finest creators to ever regenerate the degenerate! Deadpool will try to stop the Juggernaut, cross the Black Panther's path, and lock horns with Daredevil and Typhoid Mary! He'll have an explosive encounter with Black Swan, and try to join the X-Men! He'll enjoy team-ups with Cable, Wolverine and Captain America — and then kill the entire Marvel Universe!